This starter dish is one of my favorite. 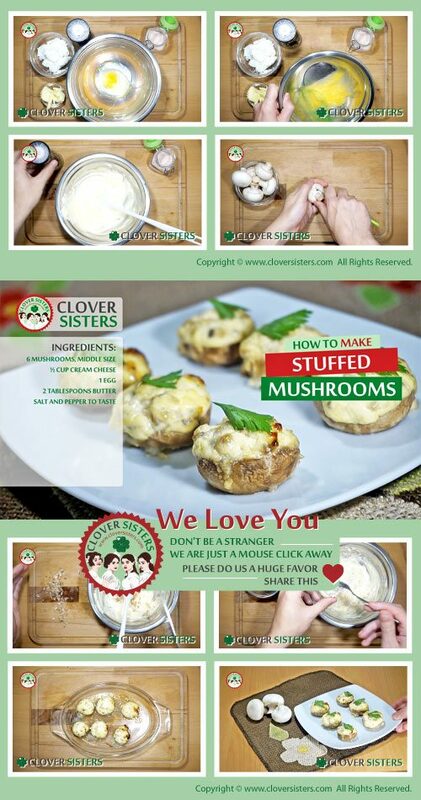 Smooth texture of mushrooms in combination with light stuffing, rounded with warm touch of butter. So easy, simple, yet rich and tasteful. Just brilliant! Mix cream cheese with the egg, 1 tablespoon of butter and season with salt and pepper. 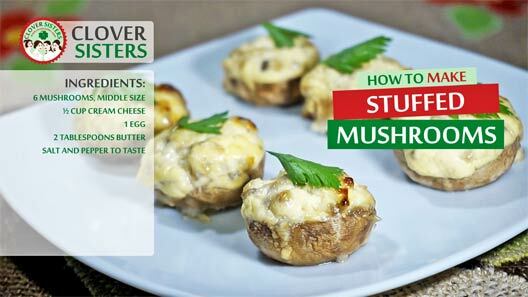 Grease the small baking tray with 1 tablespoon of butter, then arrange mushroom cups and stuff them with cheese mixture. Stick the steams into the stuffing. Bake in oven preheated to 435F (220C) for about 20 minutes.